Reba McEntire is a legend in the country music business, but her latest album is a double disc gospel album of both classic traditional songs of faith and new songs of hope. 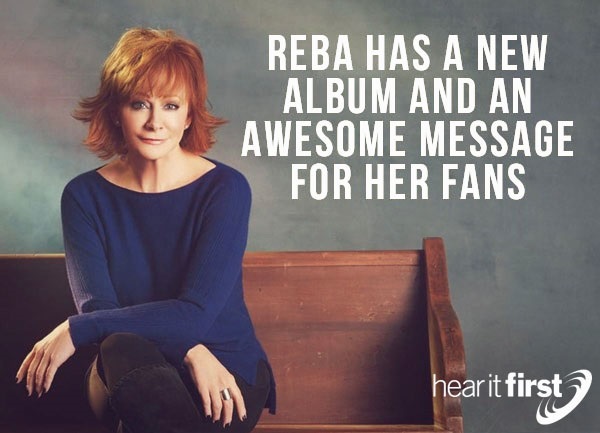 In finally making a gospel album, Reba returned to her roots of Christian music, something she had been hesitant to do because she felt gospel music was more her sister’s arena. However, she fondly remembers “Jesus Loves Me” as the first song she sang in public for money. She grew up listening to and singing the songs featured on the first album, and she turned the album into a family affair with tracks featuring her sisters and mother. Yet, the idea to create this album was not really hers in the beginning. “It wasn’t really my decision,” Reba said. “It was my old manager, Bill Carter, who was my manager back in the 80s, and my producer Tony Brown. They both kind of teamed up on me and said this is the right time for you to do a gospel album.” When the idea was discussed, everybody was very positive about it. “Softly and Tenderly” is one of the tracks that has been released early for fans. Fans who pre-order the album will receive a new track each week leading up to the release of the album on Feb. 3. Another first for Reba will be a concert at the legendary Ryman Auditorium in Nashville on February 15. Throughout her entire career, she has never done a whole concert in the storied venue before, and attendees of this show will not only see the legend perform, but also will receive a copy of the new album. It promises to be a special evening for both the concert-goers and the performer.